It is hard to believe that the end of the school year is nearly here. It does seem that it was just yesterday that college students were moving into dormitories and college apartments. Most colleges and universities will be ending their school years from the end of April to mid-June. This is the time for students to pack up all of the belongings that they have accumulated throughout the school year as well as all of the items that they brought with them at the beginning of the school year including computers, electronics, linens, books, furniture and winter clothing. All of these items will need to be packed and then transported back home in the spring, just to be packed up again in the fall to return to school. There has to be a better way than transporting all of this stuff back and forth every year! And there is! Self storage is a great alternative for college students and faculty to store their school items during the summer. When choosing a self storage facility, make sure that it is near your college or university, so you will have easier access to the items in your storage unit when you need to move back to school in the fall. Most self storage facilities offer month-to-month rentals, which is perfect for college students short-term storage needs. The low-cost storage solution will also help the budget conscious college student. Make sure to choose the correct storage unit size that fits your needs. Start with the smallest size, a 5×5 storage unit, for storing books, linens and kitchen items. If you are storing larger items like mattresses, furniture and boxes, then you will need a larger storage unit. Storage World offers storage unit sizes from 5×5 to 10×30 that can fit the storage needs of college students and facility. If you are storing certain electronic items and higher end furniture, then it might be better to invest in a climate or temperature controlled storage unit. Security is also a key factor for college students. They can have peace of mind that their personal items will be safe and secure while they are in storage. 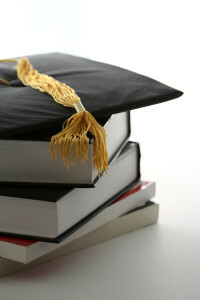 Self storage is also a great option for college graduates. College graduation is a time of transition for students. They are either moving back home after graduation or they are moving to new cities and new adventures. If graduates are moving away from home, they need a place to store their items while they settle into their new homes. If graduates are moving home, they might have limited storage space, because their parents have converted their bedroom into a guest room, office, or even a workout room. Keeping items such as dishes and linens in storage directly after graduation is a great way to be organized and allow you space back at home. There are many great options for self storage at Storage World for college students in the Atlanta area including Georgia State University, Georgia Institute of Technology, Georgia Perimeter College, DeVry University, Clayton State University, Morehouse College and Spellman College. Stop by Storage World in Jonesboro, Decatur and Stockbridge to find out how we can help with all of your short-term to long-term storage needs.